This app helps create optimal routes for traveling by metro. The program tells how long the journey will take and gives several options for travel. 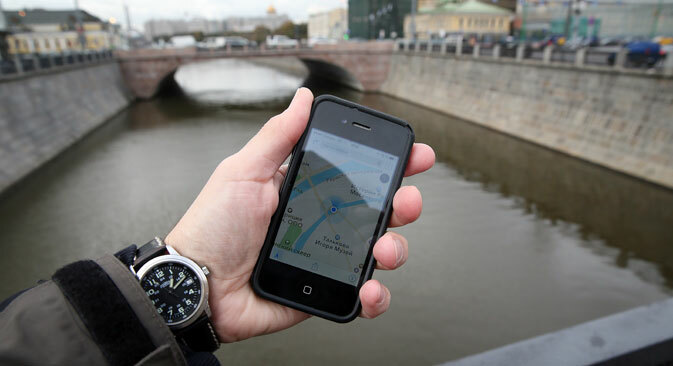 The app is available for five cities, including Moscow and St. Petersburg. It is available in Russian and English. This app is a good alternative to heavy travel guides and paper maps. It has information on museums, parks, restaurants, tourist destinations, and entertaining tour routes, as well as an offline mode that contains a map of the city and the metro. In online mode, you can book a tour of the city and buy your first Moscow Pass, which opens the doors of 13 museums in Moscow and gives you a free ride on the hop-on hop-off bus, as well as a tour of the Moscow River. It is available in English. This app contains a map of the entire world, but it is most detailed and precise in Russian cities. You can download the city map and use it in offline mode to navigate the city. The application also helps build routes around the city, taking into account traffic jams, and helps you find any organization, from office buildings to Starbucks. With this app, buying Aeroexpress train tickets to the airport has just got a lot easier, because you can pay with your phone. More importantly, you do not need a printed ticket, which is easy to lose, because there are QR code readers at the exits. In addition, arrival/departure schedules from the Vnukovo, Sheremetyevo, and Domodedovo airports are always on hand, along with a layout of the terminals and a train schedule. This application, developed by the Moscow administration, contains the most complete information about interesting places, churches, hotels, sports facilities, travel agencies, restaurants, and bars. A nice addition is a listing that includes the most interesting events of the month and a selection of short video clips of attractions in Moscow. This is a free app for finding free internet in St. Petersburg. The search is done based on either your current position, the name of a metro station, or a specific address. The destination point can be any distance from the device. This app allows you to book a taxi without calling operators who often do not speak foreign languages​​. Enter your point of origin and destination. The program suggests drivers in the vicinity, and the user chooses the taxi price and location. The app works in Moscow and St. Petersburg in English and Russian. This is an informative app-guide to St. Petersburg. The program includes information about museums, shops, restaurants, and a variety of hotels sorted by star rating. There is also a subway map, numbers for information service centers, a map of the city center, and information about railway stations and airports. This is a Russian museum app that supplements museums. Point your camera phone at the QR codes located on the museum grounds and receive information about exhibits (videos, history of paintings and authors, audio stories, and interesting links). This app requires an internet connection. It is available in Russian and English. This is an app that enables you to receive information about interesting museum exhibits. It also helps you build routes from your current location to museums, while looking up their working hours and history. It works in Russian, English, and German.